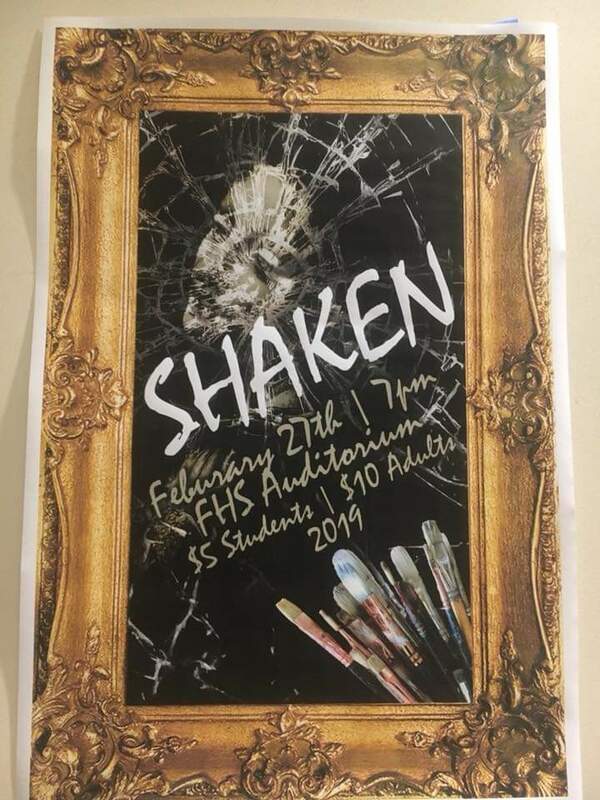 Two Productions coming soon to FHS Auditorium! 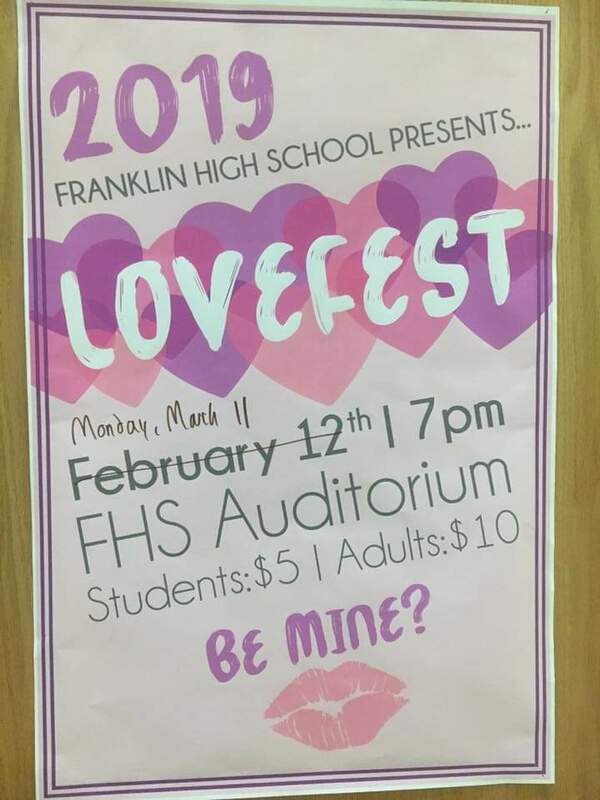 "Lovefest" rescheduled on Monday, March 11! 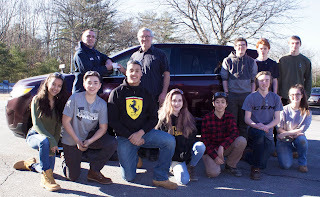 Tri-County Regional Vocational Technical High School is pleased to announce that Franklin Ford has generously donated a Ford Edge SUV to the Tri-County Automotive Technology program to assist with advanced curriculum. With a shortage in qualified technicians, service departments around the country have been scrambling to find new talent. Ford Motor Company recognized the labor shortage in the industry and decided to do something about it. Last September, Ford started the TechDrive Program throughout the United States. Each Ford Regional Talent Placement Specialist was challenged with building partnerships with their region’s Ford Dealerships that have an automotive technician shortage and connecting them with local technical high schools. Tri-County has been chosen as one of the Technical High Schools to take part in the TechDrive Program. Franklin Ford has agreed to sponsor Tri-County, with the expectation that the partnership will fulfill their technician hiring needs. As part of the TechDrive Program, Ford has furnished Training Modules to Tri-County students. 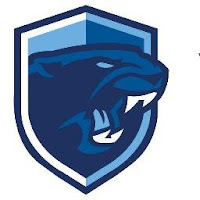 – Liv McCall and Mackenzie Roberts both scored career-highs and Attleboro head coach Marty Crowley called the game a “phenomenal effort” by the Bombardiers to hand the Panthers their first league loss of the season. 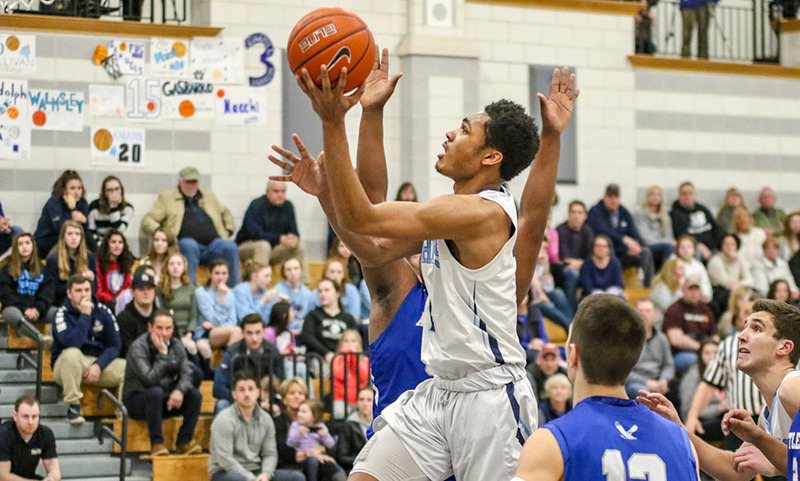 McCall scored 18 points and Roberts added 17 to lead Attleboro to the upset. Bea Bondhus had 13 points and Meghan O’Connell had 12 for the Panthers. "For the Franklin boys basketball team, terrific defense led to easy offense. Franklin limited the visitors to just 22% shooting from the field in the opening half as the Bombardiers couldn’t find a connection from deep, going just 1-for-17 from three-point range. And with consistent stops, Franklin’s pushed the pace and cashed in with an impressive transition offense, converting some easy looks down low. Franklin shot 65% from the field in the opening half, making 12-of-18 shots from two-point range." The MBTA and MassDOT invite you to participate in a Rail Vision Open House. It will take place on Tuesday, March 5, from 4:30 to 7:00 PM in the Transportation Board Room at 10 Park Plaza (2nd floor). The goal of the event is to provide information on the seven service alternatives we are considering in Rail Vision, while gathering input from riders and non-riders alike on these futures. The first hour will be an Open House format, where attendees can browse maps and boards describing the seven service alternatives and discuss questions and feedback with the study team. There will be a presentation at 5:30, followed by Q&A and then a return to the Open House format. Please share the meeting information as widely as you can with your organizations, communities, and contacts. What is Soccer For Smiles? In 2010, one young Franklin boy wanted to help the community of Haiti after a tragic earthquake. So he found a way to do doing something that he loved to do ... playing soccer. Now in it's 10th year, the Soccer For Smiles tournament is continuing the tradition of giving young players a chance to help their community by playing soccer. Will your child be a part of this? Register today! 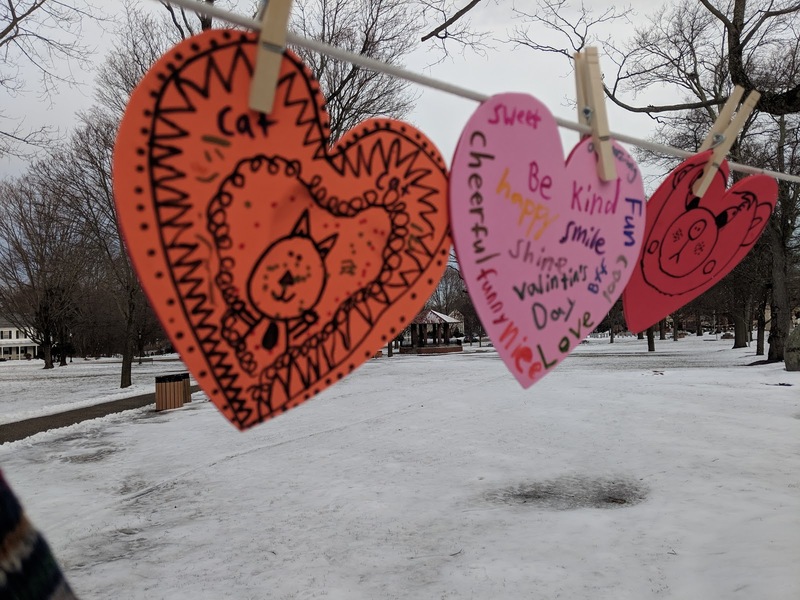 In the News: hearts of kindness return to Town Common; BFCCPS to perform "No Strings Attached"
"For the second time, hearts adorn the Franklin Town Common, strung up from tree to tree to celebrate both Valentine’s Day and Random Acts of Kindness Week. Uxbridge High School adjustment counselor Alison Ciccone saw the positive impact of the project a few years ago and decided last year it was time to bring it to Franklin. The project has been going on for seven years in Uxbridge, but it’s Franklin’s second year being involved, she said. 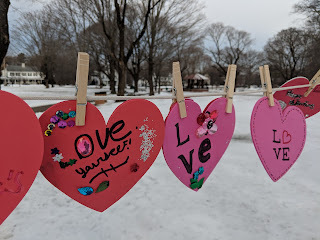 In Uxbridge they hung over 1,000 hearts, while in Franklin they hung about 500 this year, but the movement is certainly growing, she said." BFCCPS to perform "No Strings Attached"
"The Fine and Performing Arts Department at the Benjamin Franklin Classical Charter Public School has announced the upcoming performances of “No Strings Attached” to be held from 7 to 9:30 p.m. March 1, and 2 to 4:30 p.m. March 2 at the Horace Mann Middle School, 224 Oak St.
Tickets are priced at $17 for adults and $13 senior citizens and children younger than 10. Tickets will be sold at the door or an order form will be available for download at http://bfccps.org. When Carl, a teenager, wants to run away from home, he applies for a job with the mysterious Professor Pinecone and his traveling magical marionette puppet show. He quickly discovers, however, that the position comes with all kinds of strings attached. Once he feels the magical jolt in Professor Pinecone’s handshake, he embarks on the audition of his life. In this play-within-a-play, Carl becomes Pinocchio and improvises his way through the story, meeting some familiar characters — including a cricket with an attitude (“I’m Gonna Bug Ya”), the devious fox and cat (“Easy Money”) and the memorable Blues Fairy (“Blues Fairy Mama”) — as well as some new ones. With the help of this eclectic cast, Carl stumbles upon life’s lessons as he’s forced to make important decisions. After a string of poor choices (which makes his nose grow and ultimately leads him to make a donkey of himself), he finally does something good for a change by saving Geppetto from the mouth of a giant shark." 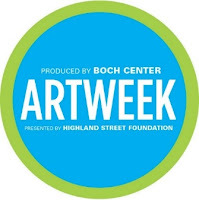 Anyone can host a Franklin ArtWeek event ... and while the venue has to be in Franklin, the hosting organization does not! Successful events are often partnerships between artists and venues, such as a theater or dance performance in a restaurant, or an art workshop in a retail space. 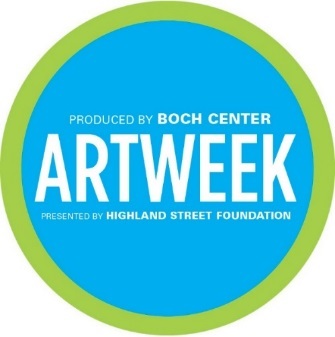 We are happy to help you find a partner for your ArtWeek event, which is a great way to promote your business to the community! We currently have several venues looking for artists or performers...email us if you're interested! It’s been quite the wrestling season for Tri-County Coach Steven LaPlante. 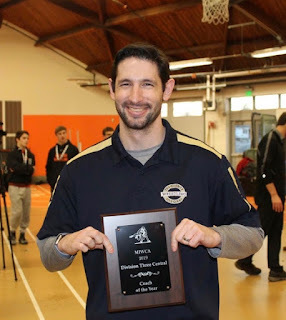 Not only did the Tri-County Wrestling team win its first ever sectional title, but Coach LaPlante has been named the Massachusetts Interscholastic Wrestling Coaches Association (MIWCA) Division 3 Central Coach of the Year. “I think I have some of the best assistant coaches in the state,” says Coach LaPlante. Assistant coach, Drew Stowik, has been coaching with LaPlante from the beginning and Matt Hogan, an elite former Tri-County wrestler, has been coaching for the past 8 years. “Drew and Matt are a huge reason so many of our guys improve so much during their time wrestling for us,” said LaPlante. Senior Captain, Kevin Carlucci of Franklin has enjoyed the benefits of the daily grind. This season, Carlucci broke the school’s career wins record. He will enter into D3 States with 140 career victories under his belt. Senior Captain, Harley Blanchette of Attleboro also reached a milestone this season, eclipsing 100 career victories back in December. Patrick Griffin, a Junior Captain of Franklin, has also put together a stellar season, by putting up a 39-4 record, and earning a sectional championship at 132 lbs. Dominic Parrella, a Senior Captain of Medway, joined his co-captains by claiming an individual state vocational championship at 220 lbs. Coach LaPlante started out wrestling for Cumberland High School, under Hall of Fame Coach Steve Gordon. During his wrestling career, LaPlante was a 2-time state finalist and 3-time New England qualifier. He placed 4th in New England as a senior. His love of the sport led him to start coaching in 2005 and he has been coaching ever since. In LaPlante’s first 3 years of coaching at Tri-County, the victories did not come easily. The team compiled an overall record of 20-34. Since 2008, however, the wrestling team has put together a dominant record of 195-30. During that time, the Cougars have accumulated a league record of 69-4, won 15 tournament titles, and claimed 8 Mayflower League Championships along the way. Despite the Cougars’ aggressive, hard-nosed style of wrestling, LaPlante’s coaching style is driven more by caring and compassion. LaPlante emphasizes his coaching staff prioritizes each wrestlers’ personal development over wins. Above all, wrestling builds character, and LaPlante stresses that subscribing to this philosophy leads to greater success on and off the mat. Coach LaPlante and the Tri-County Cougars are looking forward to divisional states this weekend in Wakefield, MA. Tegra Medical, an end-to-end contract manufacturer of medical devices, is pleased to announce that Hal Blenkhorn has accepted the position of General Manager at the company’s Franklin, MA location. Blenkhorn will report to President/CEO J. Mark King and will be responsible for the local management team and plant operations. Blenkhorn joined Tegra Medical in 2006 as Manufacturing Engineer and was promoted to his most recent role of Manufacturing Engineering Director in 2011. Blenkhorn previously worked at Cybex International and Waters Corporation in roles including lean manufacturing cell leader, production engineering technician and CNC machinist. Known as the company that brings medical devices to life, Tegra Medical is focused exclusively on the medical device industry, providing end-to-end solutions from prototyping to full production, and from complex components to finished medical devices. Offering a wide range of manufacturing technologies, the company creates devices used in cutting-edge procedures for leading surgical, interventional and orthopaedic companies. Tegra Medical "where medical devices come to life"
"Hundreds of yellow and pink pin-on ribbons littered a table at the Franklin High School cafeteria on Thursday, as students met residents from the Atria Senior Living for a Valentine’s Day luncheon. The yellow ribbons stand for happiness, while pink ribbons were for Valentine’s Day, said Brianna Ritchie, a nursing assistant at Atria. She said students have been more than accommodating for these types of events. Ritchie said at least 200 students made the effort during their lunch period to talk to senior citizens." Commemorative News: Encore Music Academy is Expanding! On this, the seventh anniversary of the day we opened our doors for the very first time, we are beyond excited to announce that a new era has arrived at Encore! A long time in the planning, the acquisition of the entire upper floor of our 3 Bent Street facility in Franklin is complete. As of Wednesday, May 1, 2019, Encore will occupy the entire building, relocating all Encore operations, lessons, classes, and ensembles to Franklin on a permanent basis! With over 7,000 square feet of operational space at our disposal, this acquisition increases Encore's footprint, allowing us to offer more lessons and classes on a daily basis, with room to grow. We are thrilled that our entire faculty and staff will, at last, be under one roof, allowing for a more streamlined customer service experience for you, our Encore family. 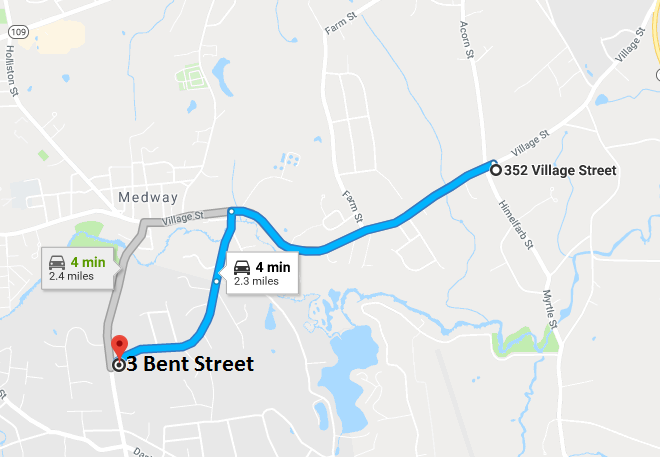 If you currently take lessons or classes at our Millis facility, as of May 1, your lessons and classes will take place in Franklin, just a four-minute ride (2 miles) from the Millis location. We have included a diagram here for your reference. The Millis location will officially close as of April 30, although we may cease lessons and classes there on April 26 in order to facilitate the move. We will attempt to make this transition as seamless as possible; however, as we sort out spaces and schedules, we ask for your patience, flexibility, and cooperation. We expect there will be a settling-in period as we organize rooms and schedules, but will do our very best to create a comfortable experience for everyone at Encore. 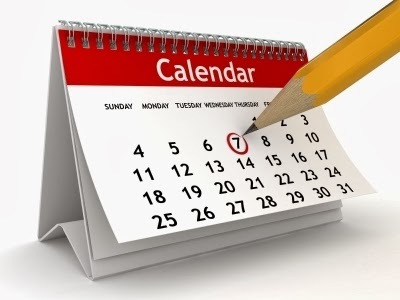 And here's the good news: We've done a full analysis and can confirm that 100% of ALL lessons and classes will retain the same day and time slots! If you have questions or concerns, please feel free to reach out to either Lisa or Pat. As always, we thank you for, and very much appreciate, your support. Copyright © 2019 Encore Music Academy and Recording Studios, All rights reserved.